On January 6, 1662, Mary Barnes was taken from her home in Farmington CT, more than likely by John Andrews, the local constable/sheriff, and taken to Hartford where she was indicted for witchcraft. She was approximately 32 years old at that time and had four children. There is not a lot written down about Mary Barnes in the historical records. Who was Mary Barnes? How did this Farmington goodwife became involved in the witch-hunt that was going on in Hartford in 1662? Mary Barnes was born circa 1631 in England. She married Thomas Barnes in 1648. There are no records of their marriage listed in the records. They moved from Hartford to become two of the original settlers of Farmington, CT. They had four children: Sarah, born circa 1649; Benjamin, born 1653; Joseph, born 1655; and Hannah, born 1657. Hannah died a few months after her mother was hanged. 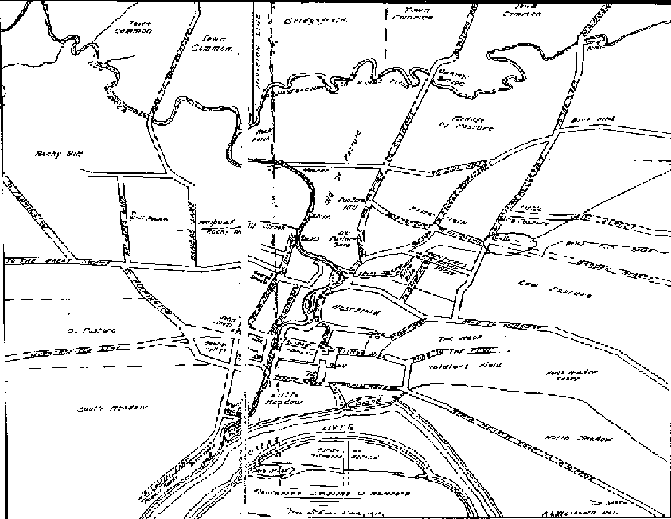 Farmington at that time was a model Puritan town dominated by the Congregational church. Thomas Barnes was a member of the church and two of his children were baptized in the church. Mary Barnes was not a member of the church. Members of the town, whether or not they were church members, were expected to obey all of the strict moral and legal codes of the time. Farmington was a small community of a few hundred residents, almost all of whom lived within a 3-square-mile area surrounding the village center. There was much scrutiny of the colonists’ activities by their neighbors and not much chance of keeping anything secret. There is much to speculate on Mary’s relationships with her neighbors. The Barnes family were not unknown to the Particular Court at the time. Thomas Barnes made a complaint against James Tills, a servant of John Miggs, claiming that Tills stole his scythe and his ox. The outcome of that case was that Tills was severely whipped, put into stocks and forced to apologize publicly to Barnes. The records of the Particular Court dated May 17th, 1694 state “as also that a like warrant shall be directed to the constable for apprending and bring upp to particular court Mary Barnes of their town.” This refers to a mention of a previous charge of adultery brought up in a different case against someone else. There are no records of any follow-up on this warrant and there is also nothing about what the charges might be. In any case, charges were never filed. Mary Barnes would have been familiar with the cases of witchcraft which were being prosecuted at that time. She testified in 1655 in the case against Nicholas Bayley and his wife of Farmington. She spoke of conversations she had with Mrs. Bayley and the fact that Mrs. Bayley had quarrels with Thomas Barnes concerning ducks and pork. Mr. and Mrs. Bayley fled to Rhode Island. Mary Barnes would have known Rebecca Greensmith long before Mrs. Greensmith accused her of witchcraft in 1662. Mary’ own indictment, trial and execution occurred during a very short period of time. Her indictment and trial were on January 3rd and she was hanged, along with Nathaniel and Rebecca Greensmith, on January 25, 1663. According to the records on the Particular Court of Connecticut, her indictment reads, “Mary Barnes thou are here Indited by ye name of Mary Barnes for not haveing the fear of God before thyne eyes. Thou hast entertained familiarity with Satan the great enemy of God and mankind and by his help has acted things in a preternaturally way beyond ye ordinary Course of nature for which according to ye Law of God and ye established Laws of this colony thou deserved to die. The magistrates involved were Matthew Allen, Daniel Clark, Richard Treat, Henry Wolcott, Samuel Wyllys and Lt. John Allyn. The jury was Samuel Boreman, John Coles, Lt. Walter Fyler, John Gilbert, Samuel Hale. Captain Samuel Marshal, Ensign John Olmstead, William Wadsworth, Robert Webster, Gregory Winterton and Nathaniel Willett. There is no record of Mary Barnes saying anything in her defense. What was unusual about Mary Barnes’ indictment was that she was not identified as the wife of Thomas Barnes nor was Thomas Barnes indicted separately. There is no record of Thomas Barnes ever coming to the defense of his wife. It is not known if he even attended the trial. The timing of Mary Barnes’ trial was unfortunate. Governor John Winthrop, Jr. had sailed to England in 1661 on government business to deal with the issue of a royal charter. Governor Winthrop had a deep interest in alchemy, a tolerance of religious matters and political acumen. No one was hanged for witchcraft from the time he was elected in 1657. The witch-hunt in Hartford did not begin until 1662. It is likely that he would have stopped the trials if he were not away in England during this time. Rebecca Greensmith, Nathaniel Greensmith and Mary Barnes were taken by oxcart to a wooden scaffold set up at Gallows Hill near the cow pasture in Hartford. Crowds gathered, because executions were public events and were treated both as a warning and as a time for merriment. Mary’s children were ages 16 through age 6. It is not recorded if they attended the hanging or who took care of them during this time. It is also not recorded if Thomas Barnes attended the hanging. What is recorded is that Thomas Barnes paid the jail keeper the fee of 21 shillings for keeping Mary in the jail for the three weeks between her trial and her execution. According to tradition, the Greensmiths were executed first and then Mary Barnes was executed. Mary Barnes thus is the last person hanged in Connecticut for witchcraft. It seems as if Mary Barnes was resigned to the inevitability of her fate. However, the why of what happens is a mystery which may never be solved. Her memory has not been lost in history. Her name keeps appearing alongside the names of the other men and women who suffered similar fates during the colonial period. There is a continued interest in the history of witches and witchcraft which exists up to the current day. In 2013, the Stanley-Whitman House held a symposium on colonial New England history of witchcraft. There was a witchcraft trial exhibit and various panel discussions. Also included on that day was a performance of a play written by Virginia Wolf entitled “In a Preternatural Way: The Witchcraft Trial of Mary Barnes.” It is hoped, by various people, that the State of Connecticut will someday pass a law to exonerate the memory of Mary Barnes. Butler, Joanne. Witches vs. Winthrops. October 2013. Accessed March 27, 2016. http://rebelpuritan.blogspot.com/2013/10/witches-vs-winthrop_31.html. Karlsen, Carol F. The Devil in the Shape of a Woman: Witchcraft in Colonial New England. New York: W.W. Norton & Company, 1998. Taylor, John M. The Witchcraft Delusion In Colonial Connecticut . New York: Grafton Press, 1908. Telian, Bernice Mabel Grafton. My Grandmother Mary was Hanged. Delhi, NY: Privately Published, 2013. Thank you for sharing this. I’m finding some confusion in records stating the John Andrew was married to one Mary (née) Barnes. Summer, your confusion is understandable. Mary was a very common name in colonial Farmington. Mary Andrews (also spelled Andrus), the daughter of John & Mary Andrews of Farmington, married Thomas Barnes after his first wife was hanged as a witch. After Thomas’ death, Mary Elizabeth Barnes (Andrews) remarried in 1682, to Jacob Bronson. So Thomas Barnes had two wives named Mary, one of whom was hanged as a witch, and one of whom was the daughter of the constable who probably arrested her. To complicate things further it appears that in England John Andrews married a Mary Barnes (Ancestry.com, Millenium File). So John and Mary (nee Barnes) Andrews had a daughter Mary who married Thomas Barnes. My name is John Still and my mother’s maiden name was Barnes. We believe she is a direct descendant of Thomas Barnes. Can you share with me the most detailed information regarding the Mary Barnes who was hanged? Hi, John. I have not done a genealogy on the Barnes family, and all I really know is what you see on our site. The New England Historical and Genealogical Register is a great source; online they are at AmericanAncestors.org. The Farmington Historical Society may also be able to help with your search. Thomas Barnes, Mary’s husband, remarried after his wife was hanged, and her name was also Mary (Andrews). I question several of the assumptions above. First of all, the Bayley Trial took place in New Haven, which was a separate colony at the time, and there is no evidence whatsoever that the Mary Barnes who testified in that trial is the same Mary Barnes who lived in Hartford and Farmington. Furthermore, one needs to be very careful about sources – while Ancestry.com is a great resource, all sources should be checked out and when possible, double and triple checked before drawing – and publishing – conclusions that may be erroneous. Is there any way that I can purchase the book? My husband is a descendant of this woman and he would very much love to have a copy of the book. Please let me know if you have any information on how I can get one. Thank you! I have met Lisa Johnson and respect her work. There was a Mary Barnes who was accused of adultery in New London in 1648. It may or not be the same Mary Barnes who was later executed In Hartford. If Ms Johnson has information about that, and also can verify her source concerning Mary’s status a servant, I would be very interested if she could share that. As someone who has researched this story for over 30 years, I am very aware of how much misinformation is out there and my only motivation for posting here is to make sure only the known facts are perpetuated here – especially in light of this blog’s association with the Stanley whitman House and Central Connecticut University. Thanks so much! Does anyone know how I can purchase this book? My husband is a descendant of this family and he would very much like a copy. Thanks for any and all help! Thank you for this, I am directly related to Mary Barnes through her daughter Sarah. She is one of my great-great-great-great-great-great-great great great grandmother on my father’s side. Hi I wonder have you done a DNA test. I have one on Ancestry and I too have a Barnes line and is thought to go to Thomas Barnes. but my understanding I come from 2nd Mary. But I would think we would match. I too come down through Sarah Scoville. 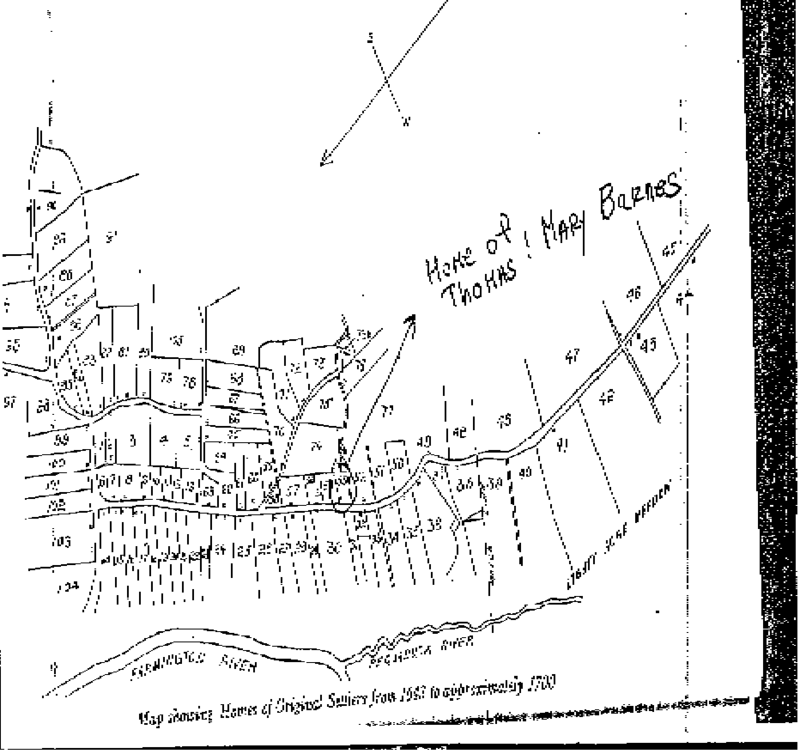 I too can trace my lineage through Thomas & Mary Barnes through their first daughter Sarah, who’s descendants several generations later married into the Holcomb family in Pennsylvania and Connecticut. The Holcomb family were early Puritan settlers in Connecticut. Interfering stuff. I am a descendant of Thomas Barnes, husband of the executed Mary Barnes. But my ancestor was his 2nd wife, Mary Andrus/Andrews. Sad that the maiden name of the first Mary Barnes has never been discovered. The historic Stanley-Whitman House of Farmington reenacts Mary’s trial close to the day of the execution. I am a descendent of Mary Barnes through her daughter Sarah Scoville. I am sincerely grateful for the research that has been done on Mary Barnes. I am also a decendant of Sarah Scoville who was the daughter of Mary Barnes. Thank younfor your hard work and research on my 13th great grandmother. I’m glad you enjoyed the blogpost. Be sure to check out the digital map for points of interest in Farmington! Just to set the record straight, “In a Preternatural Way; The Witchcraft Trial of Mary Barnes” was written by Lisa Johnson, Director of the Stanley-Whitman House at the time; I played the part of Mary Barnes in that production. It was my work with Lisa that led me to further research the Connecticut Witchcraft Panics, and to write a one woman show, “Panic in Connecticut; Accused Witches Have Their Say”, bringing to life five women accused of witchcraft in 17th Century Connecticut – Mary Barnes is one. That led me to found Herstory Theater, http://www.herstorytheater.com, which has led to a lot of fabulous theatrical productions, some historic, some not! I bring my “witches” to museums, historical societies, libraries, schools, senior centers, etc., and I never tire of shedding light on this lesser known part of Connecticut’s history! And I’m delighted to have been included in this document! This is an interesting article and I have a few comments and questions. When I was researching for my historical fiction novel,”Days to the Gallows” about the Hartford Witch Panic of 1662/63, I found quite a few facts about Mary Barnes and tried to put the pieces together. I knew about the Bayley accusations and what happened down in New London. However, I have yet to come across any evidence in the records that Rebecca Greensmith testified against Mary Barnes and thus accused her of being a witch? The student who wrote this, Sandra Whitney, has graduated, so I cannot ask her about sources. Lisa Johnson says no record of testimony exists, “In a Preternatural Way,” http://www.fpsct.org/uploaded/curriculum/Documents/Mary_Barnes1.doc. It is exciting to see how much interest there is in Mary Barnes and the Hartford Witch-hunt. However, it is very important to check sources carefully before repeating assumptions and conjecture. There is no evidence that Mary Barnes was 33 years old at the time of her death, no evidence that she is the same Mary Barnes mentioned in New Haven (although there is almost certain evidence that she was not), no evidence that she was a servant or illiterate, no evidence that her successor, Mary Andrews, was a nanny in their home, no evidence that Rebecca Greensmith testified against her. Good sources if you are interested include a relatively new book by respected historian Richard Ross III about witch-hunting in the Connecticut River Valley; Entertaining Satan by John Demos; and the Records of the Particular Court. There is also going to be a tour of the Ancient Burying Ground in Hartford on August 3, 2019 that will be led by Richard Ross, where he will discuss many of the connections between the people buried there and the victims of the Hartford witch-hunt of the 1660s. Hope this helps! Molly, I can’t agree enough on the need to separate fact from speculation. Ross’s book is interesting, though he too makes leaps. He says, almost as if it’s true, that Alice Young was a healer, but that is speculation. It’s not even an evidence-based inference. Some accused witches were known to try to heal people and others were midwives, but until we know more about the identity of Alice Young, we don’t know that she was. Likewise, Ross claimed Young was born in London. That’s a guess. Ross also uncovered and emphasized some material about the CT accused witches that has been able to open up new avenues, and that’s exciting. His book is definitely worth reading. The tour sounds great. Here’s the google books link to the book: https://books.google.com/books?id=hmwkDwAAQBAJ&printsec=frontcover&dq=richard+ross+witchcraft&hl=en&sa=X&ved=0ahUKEwjD8PGn79ThAhUzFjQIHRW5BisQ6AEIJjAA#v=onepage&q=richard%20ross%20witchcraft&f=false. I learned from Ross’s book that Thomas Barnes and Andrew Sanford were also among those initially accused, something I hadn’t stored in my memory. I am learning so much from this thread about what is established fact regarding Barnes and her husband. It is true that Thomas Barnes married the sheriff’s daughter, much his junior, after his wife was hanged. Quick remarriage was not unusual, nor were age gaps, but his choice seems auspicious now. The donation of land for Momento Mori seems expedient and sad. I’m open to posting new blogposts on Barnes if someone wants to take a crack at clearing up the facts. Most of the posts on this blog were written by students. Some were grad students and others were undergrads. But some are written by members of the community, local historians, librarians, etc. I very much appreciate these comments. Thanks for the update, Dr. Hermes and Molly. I’m glad we can all come together in honor of the truth. So much of the information is often found and presented in a piecemeal fashion, so it really takes time to garner a true picture of what happened to Mary. Although I did quite a bit of research, I’m learning more and more every day. For example, I had no idea Thomas Barnes was accused. I will have to look into this. I knew about Andrew Sanford, who was acquitted but his poor wife Mary was not. Thanks for the info about Prof. Ross’s tour of the ABG in August. I know that Marshal Gilbert, the constable during the Hartford Witch Panic as well as Reverend Stone are buried there. It should be interesting. And if all goes well, maybe one day, a monument to the 11 hanged of witchcraft in Conn. will be located there. I guess one can say that a lot is “brewing” regarding Mary and the others. And this is good. May the truth prevail.Thanks again. Good to know. Keep the info coming! Not for sure if this is the place to ask this but since accused witches Andrew Sanford and Nathaniel Greensmith are mentioned above and my husband’s apparent ancestor Gabriel Lynch/Linch had dealings with both Andrew Sanford and Nathaniel Greensmith, maybe someone knows more about Gabriel Lynch’s history. Gabriel Lynch was an apprentice of Andrew Sanford and took him to court in 1659 for not teaching him 2 trades. What were the trades? Gabriel Lynch bought property, a house and small acreage, from Nathaniel Greensmith in 1656. Gabriel Lynch went to Long Island sometime between 1660 and 1666. A Gabriel Lynch bought from a blacksmith, property in Newtown, LI in 1667 and Gabriel Lynch, the father, died before 03 September, 1671 in Newtown, LI. Gabriel Lynch, his son, is listed as a blacksmith in Newtown in the 1680s. A man named Jonathan Strickland married the mother, Margaret (Unknown) and gave over land and estate to Gabriel Lynch, his “son-in-law” and also sold land to Elizabeth and Benimine Severns, who acknowledged that they received from Jonathan Strickland Elizabeth’s share of her father, Gabriel Lynch’s estate. Benimine (Benjamin) Severns is my husband’s ancestor. I would like to know more about Gabriel Lynch’s association with two accused witches. Does anyone know what that was all about? Did he leave for Long Island because of witch scare? I don’t know anything about Sanford or Lynch, but Long Island in 1662 belonged to Connecticut. After the Anglo-Dutch War ended in 1664, the King gave it to the Duke of York. CT didn’t totally give up its claim until 1672, but if Lynch left in 1666, it could have been to get out of CT. Hard to say. All I could find quickly on Sanford was that he was a pumpmaker.